The 29-year-old has registered the scores 0, 4, 2, 3 in four games so far in the Indian Premier League. Mumbai Indians have made a solid start to this year’s Indian Premier League. 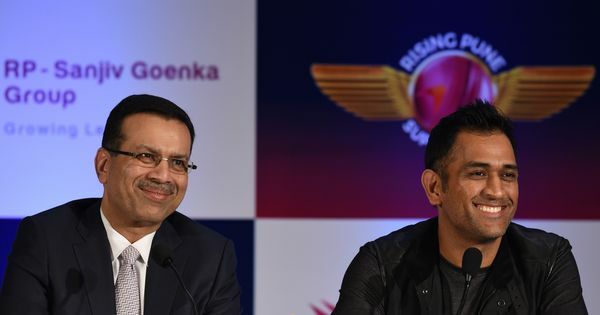 They are currently second in the table with six points and have only lost one match, their opener against Rising Pune Supergiant, out of four. They are on a three-game unbeaten streak and will face Gujarat Lions next on Sunday. Mumbai look like a solid unit and the performance of the Pandya brothers, Lasith Malinga, Kieron Pollard, and Nitish Rana have powered the team to crucial wins this season. However, their major concern after four games will be the form of captain Rohit Sharma, who has registered the scores 0, 4, 2, 3 in four games. That’s nine runs in four matches. Shocking, isn’t it? For a player of his caliber, one would expect a match-winning knock already, or a stellar 100 to say the least. Sharma last played for the India in the fifth one-day game against New Zealand way back in October in Visakhapatnam during which he injured his thigh. He made a brilliant 70 in that game after registering scores of 14, 15, 13 and 11 in the first four matches. However, the injury saw him missing the rest of the international season. He had to undergo surgery and then extensive rehab. He was expected to make a return in the last two Test matches against Australia, but the BCCI retained the squad which played in the first two Tests. Sharma finally returned to field during the Vijay Hazare Trophy in March. However, he could only manage scores of 16 vs Andhra and 4 vs Goa in the two matches that he played. Sharma was ruled out of the Deodhar Trophy due to a knee injury, but was finally declared fully fit for the IPL. He has featured in all the matches for Mumbai and has looked sharp in the field. However, his batting woes have left him struggling to regain the class player we know he is. Rohit Sharma is the perfect opening batsman. Period. However, strangely, for Mumbai he isn’t opening the innings. Jos Buttler and Parthiv Patel are the opening combination the two-time IPL champions are going with. Their highest opening stand has been 65 against Kolkata and the duo have struggled to give Mumbai a solid start. Sharma, on the other hand, has scored 264 runs, the highest one-day score by a cricketer, as an opener. The reason he should open the innings is because he is the best batsman in the squad. If he opens, he gets more time to settle down and then play the innings he is capable of. Also, in the four matches that he has failed to get going, he has been undone by spinners alone. As an opener, the chances of facing spinners early on is rare and that gives him more time to knock the ball around and get his act together. 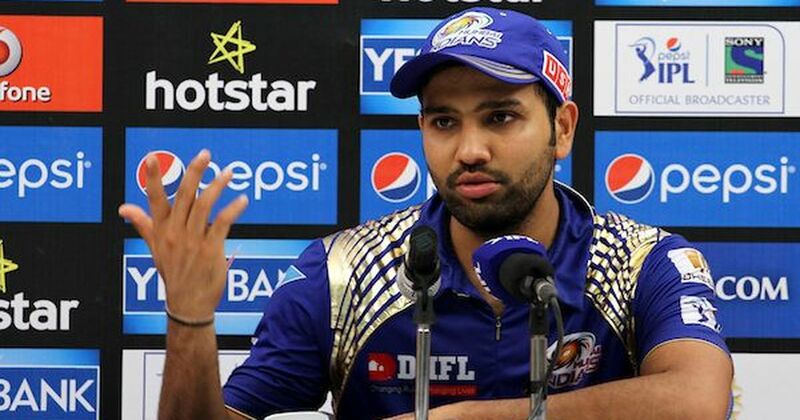 “Rohit will take time,” said former India captain Sourav Ganguly during an interview. “I think Mumbai are not using him well while playing him in the middle order. They should open with Rohit and back Buttler for the No 4 spot.” Sharma should open the innings or not play at all some would say. With Champions Trophy set to take place in June, Sharma has to get his act together if he wants to fly to the United Kingdom. With captain Virat Kohli aiming to retain the trophy, he will want his squad to be in top form. Ajinkya Rahane and Lokesh Rahul seem to be the ideal opening pair for India as of now. However, if Sharma hits top form, he and Rahul can be the most lucrative opening pair for India. But, given his form, Sharma seems to be an unlikely pick if the squad was to be selected right now. For Mumbai Indians to win the IPL, or even make the playoffs, Sharma has to open the innings and fire with the bat. He is their best bet and on his day can decimate any bowling attack in the world.